joel pryzbilla: still my main man – Lizzy Acker! 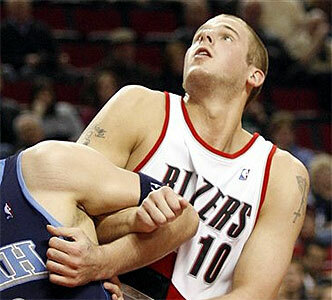 joel pryzbilla is by far the cutest basketball player in portland. including all of my brother’s friends. the oregonian is having a vote to see if he should leave the team. i say no. you should too. because i love him and someday hope to be reunited with him. i don’t even LIKE basketball. but i f-ing love joel pryzbilla. vote for him to stay. do it for me.